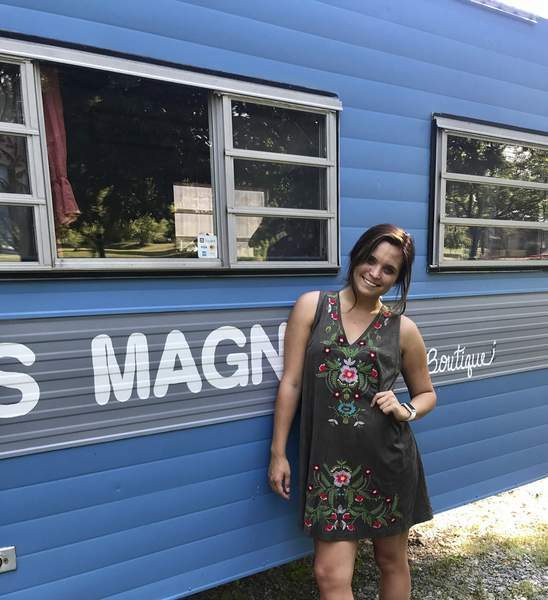 Courtesy Bella Krieg of Columbia City has created a mobile women's boutique – a camper stocked with clothing items that the Purdue Fort Wayne student takes to various events. Mike Moore | The Journal Gazette Alan Lemus, a senior at Snider High School, has been restoring and customizing sneakers for about five years. This is part of an occasional series of stories that will highlight teens and 20-somethings who have started their own business. The “Business Sense” series will focus primarily on entrepreneurs who have connected with established organizations that mentor or provide funding, including Junior Achievement of Northern Indiana and the Farnsworth Fund. Bella Krieg decided last year to open a women's clothing boutique – in a 1973 camper. She seems unfazed by the struggles that have sent more than a few well-established retail chains into bankruptcy court. “Every boutique can offer something different, and by calling yourself a boutique, you're saying you offer something those big boxes don't,” said Krieg, the 20-year-old entrepreneur behind the mobile clothing business Miss Magnolia Boutique. Krieg said she offers a limited number of the same clothing item and keeps rotating in new pieces from wholesale retailers she purchases from. She prides herself on personal service, such as taking time to help customers find an outfit. “The support I get locally is just amazing,” Krieg said. She's one of dozens of young entrepreneurs who are finding their way in northeast Indiana. Business and community leaders have been promoting workshops, networking opportunities and other initiatives to help startups. 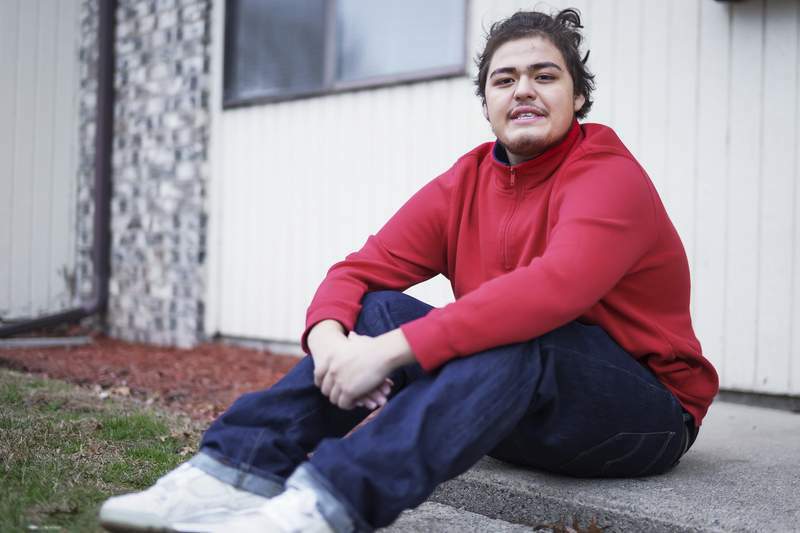 Another is Alan Lemus, an 18-year-old who will graduate next spring from Snider High School. He started a business about five years ago restoring old sneakers and customizing new ones. Krieg, a Columbia City High School graduate, is a full-time student at Purdue Fort Wayne, studying marketing and management. She takes classes in the summer and said she is on track to graduate next December. Along with school, she has a part-time job as an office manager for a chiropractor. She takes the camper to various events, such as bazaars or wineries hosting ladies' nights out, for exposure and to generate sales. Krieg also promotes her business through Facebook and Instagram. A website, www.missmagnoliaboutique.com, is under construction. Krieg mostly runs the business solo, although her boyfriend helps pull the boutique to events with his truck and helps keep the trailer running. The biggest challenge has been learning how to “efficiently manage” her assets and ensure she always has cash on hand. “They say for the first five years, a business owner should invest most of their money back into the business rather than just take it as a salary,” Krieg said. She used her high school graduation money to start the boutique. Krieg said she liked the idea of renovating a mobile unit, allowing her to take the business with her anywhere. Alan Lemus does most of the work to customize or revive worn-down sneakers in a room at home. Lemus, who takes classes at the Anthis Center for Academic Success, got started with his L'a Custom business after seeing a video on customizing shoes. He invested in kits with paint and dyes and found items such as fabric, studs and glitter easily found at arts and craft stores. The internet offers lots of ideas, but Lemus said he tries not to be a copycat. Most customers have visions of what they want a custom tennis shoe to look like, Lemus said. He finds restoration more exciting than customizing. Lemus was one of several youth business owners who spoke at the local Junior Achievement's Business & Educator Leadership Awards banquet in May at Parkview Mirro Center. Jenee Johnson, a program manager with Junior Achievement, learned about Lemus' business during a visit to the Boys & Girls Clubs. “He and I talk every once in a while,” said Johnson, who often provides youth who have started a business with information about possible seed funding or networking opportunities. During an interview this month, Lemus estimated he worked on 20 to 25 pairs of shoes his first year in business. He has tried to increase the number each year and said many of his customers have seen his work through his Facebook or Instagram presence. Lemus plans to pursue an automotive engineering degree – he likes cars and learning about mechanic work – and also a degree related to business ownership. It's not uncommon for him to spend anywhere from two to five hours a day working on shoes. “Some days I work all day from morning to night,” he said.